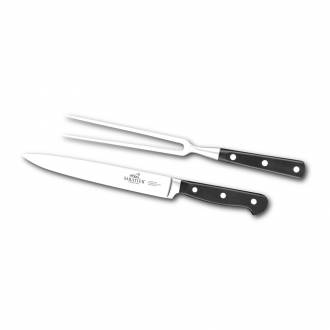 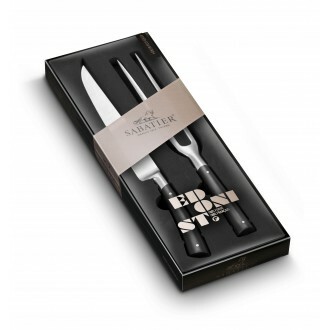 Perfect for carving the Sunday roast or the Christmas turkey these carving sets all contain a carving knife and fork and are available from our premium brands such as Global, Sabatier Edonist, I.O.Shen and BergHOFF. 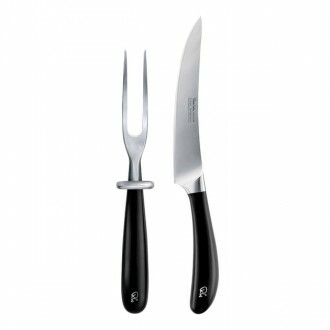 The forks are designed to hold the roast stable and allow a controlled cut to make sure you get the exact size of slice that you require. 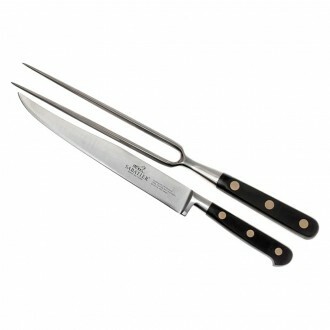 Some of our sets also include a spiked carving board to make sure that the roast sits firm. 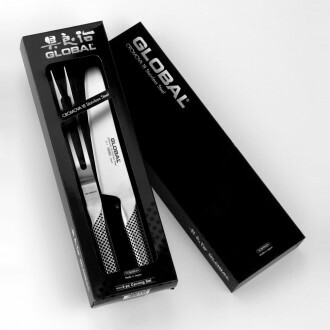 All of the forks are made from the same quality of materials and with the same manufacturing processes as the knives.